I am normally a "lone wolf" railfan. I find my time to railfan when I can so it's difficult for me to arrange to meet up with anyone else to see trains, plus when I'm alone I get to decide where to go! So when Thomas Sajnovic messaged me to ask if I was available, I hesitated for a moment and decided "what the heck!" Tom was in town doing some training with CN and we arranged to go out on Sunday, May 3rd. I picked him up at 6 AM and we headed over to the CP yard to start. The usual collection of old Geeps were by the shops. 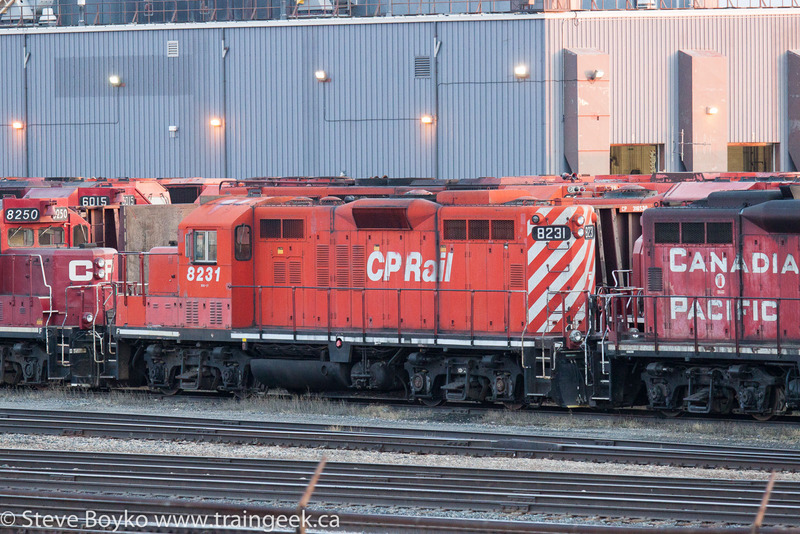 CP 8231 and several other GP9s are for sale, "as is where is". We stood and watched for a few minutes. 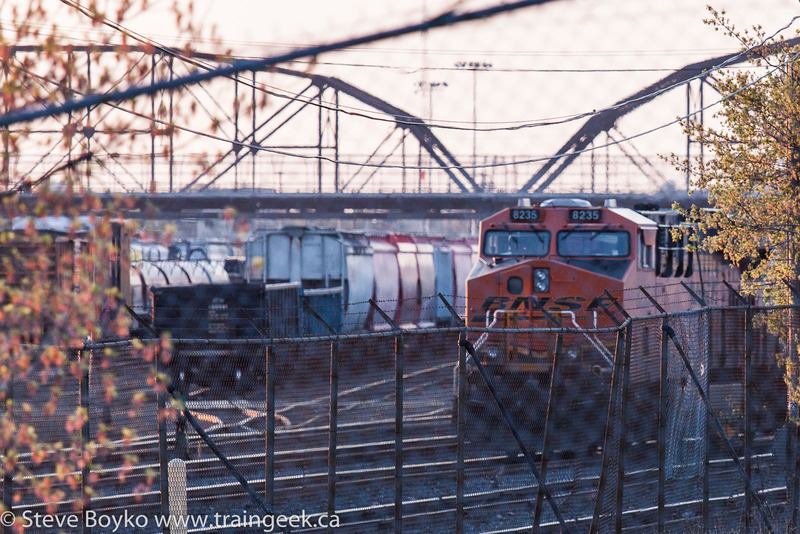 I spotted a BNSF unit over by the now-closed Rugby Tower. I took this poor shot and then we hopped in the car to try to get a better angle. Of course, by the time we drove around, two CP locomotives had hooked onto it and were pushing it into the shop area as I tried to stop to photograph it. No picture for you! 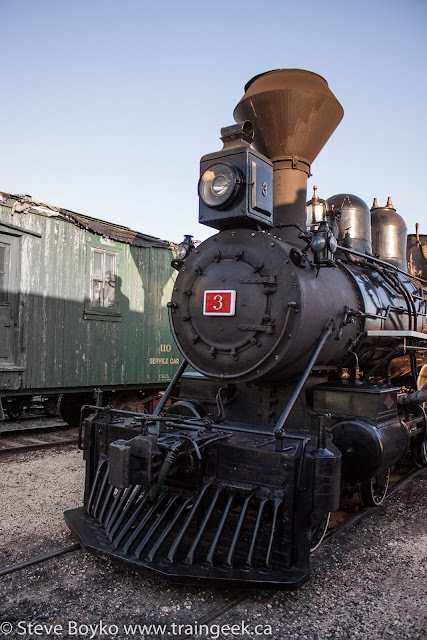 We consoled ourselves with photographing a pair of switchers in the nice sunrise light. Big stacks on those locomotives! 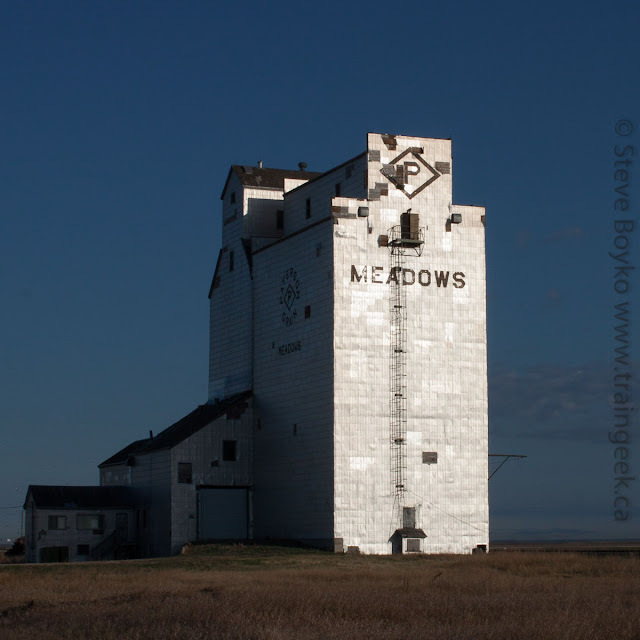 After that, we headed over to the Prairie Dog Central to get a couple of shots before proceeding to Portage la Prairie. The PDC had all three of its diesels out. 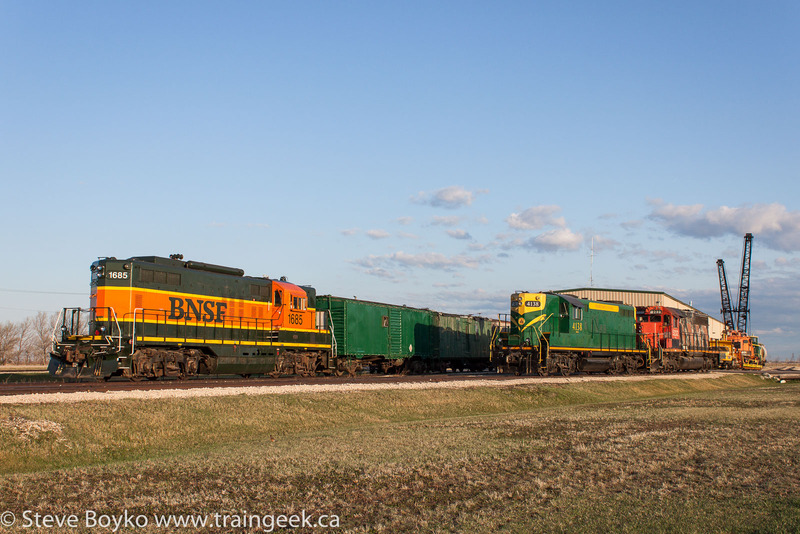 BNSF 1685 is the last Burlington Northern Manitoba Limited locomotive (ex BNML 2). It was donated to the PDC in July 2010. 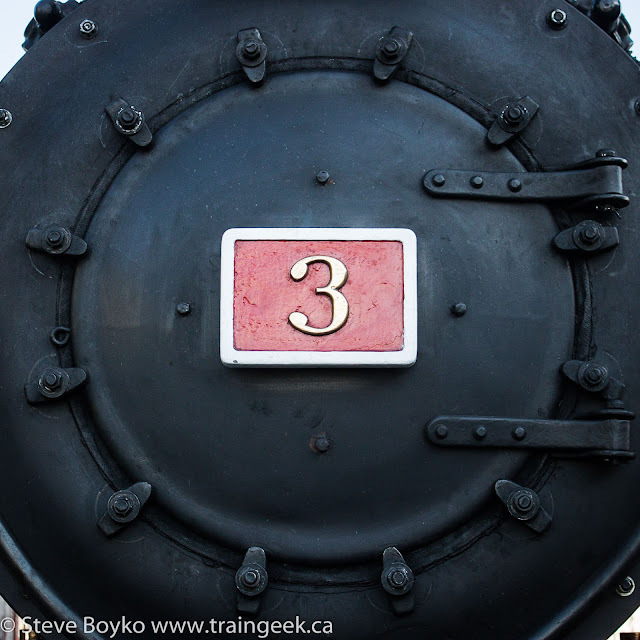 The green loco is 4138 which has been with the PDC for quite a while. The new arrival is 5232, the striped locomotive on the right. 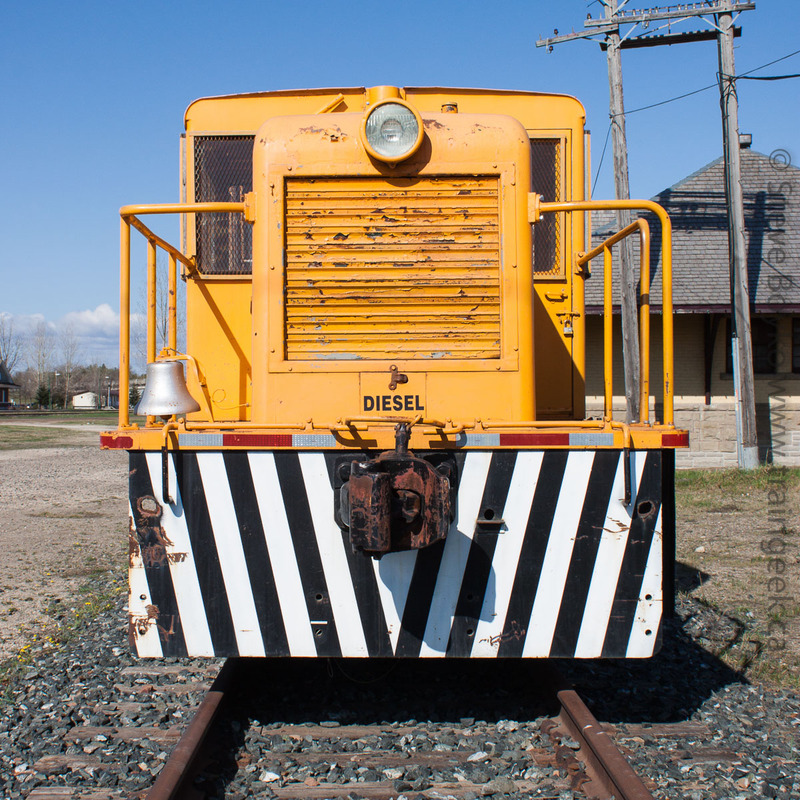 Long time readers of the blog will recognize this as ex CCGX 5232, which worked for the Central Manitoba Railway (CEMR) for several years. 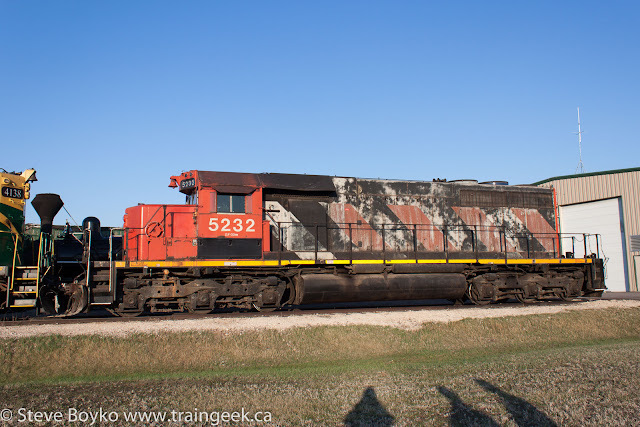 I first spotted 5232 in September 2009 when she was still lettered as ANY 5232, ex Athabasca Northern. I've written about 5232 many times. A volunteer who was around at this early hour told me that 5232 was acquired to work on the PDC's car storage business. This six axle power will pull a lot more than the Geeps! The volunteer - sorry, I can't recall his name - invited us to have a look at #3, the PDC's steam engine. It was still warm from a run the previous night. Being in the shade, it was a little difficult to photograph. I did the best I could. 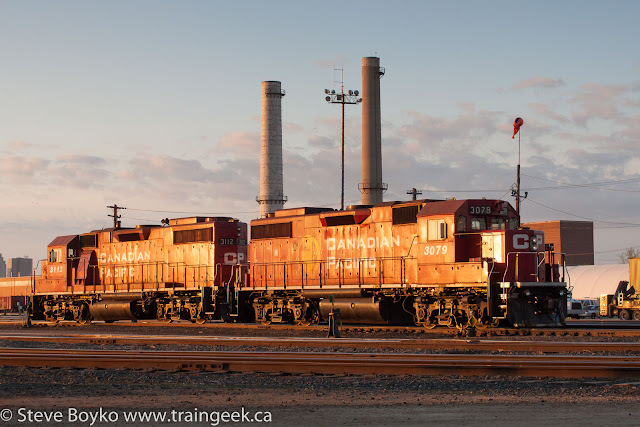 A couple of CP westbound trains rolled by while we were chatting. Then we carried on to Marquette - no grain elevator there any more, of course - and on toward Portage la Prairie. 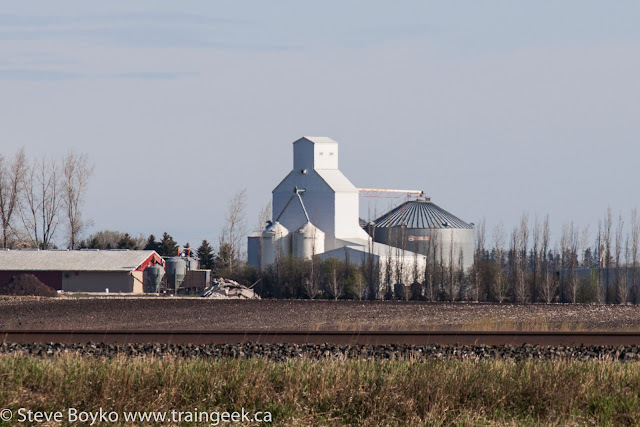 While traveling the back roads near Poplar Point, I spotted this grain elevator at a (Mennonite?) colony. I spotted this nice barn near there too. Anyway, we finally made it to Portage la Prairie. Tom spotted a rail grinder moving on the CP tracks, so we made our way over there and found LIMX 3411 tying up. Sadly LIMX 3411 derailmed in Portage the day after we saw it. While admiring this magnificent piece of equipment, I spotted movement on the CP... and I spotted yellow UP engines! We sprinted for the tracks to capture UP 3556 and UP 3645 leading CP 9562 and a grain train. 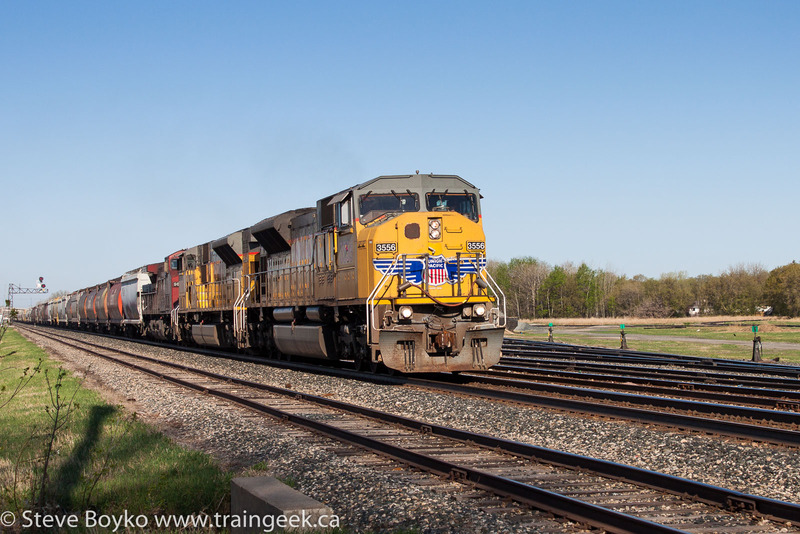 While we were admiring that train, Tom spotted movement on the CN side, so over we went! This was CN 2679 leading an intermodal train east. CN 8877 was about 3/4 of the train back, providing DPU power. That's the best part of railfanning Portage - action on both tracks! That train finished going past us at 09:02. 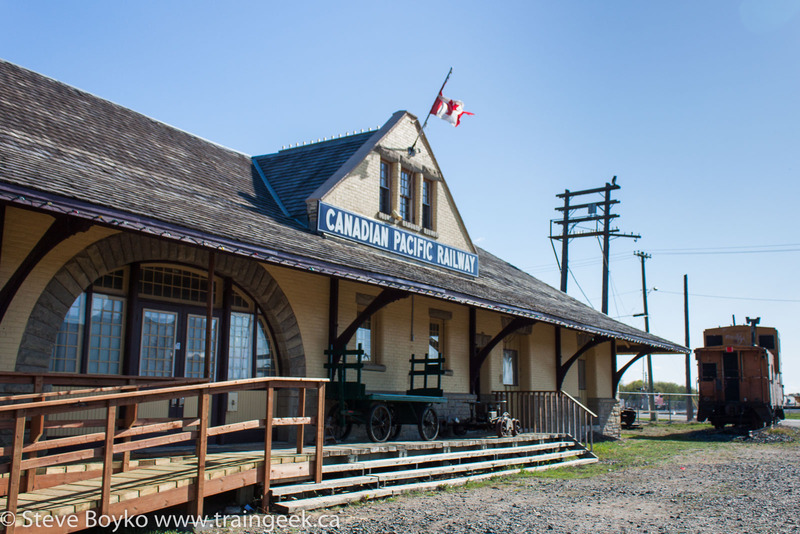 We decided to go see the CP station. 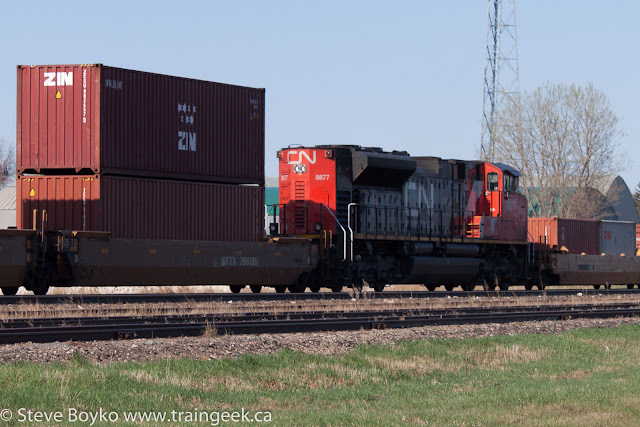 After we arrived there, we spotted a westbound train on the CN at 09:15. 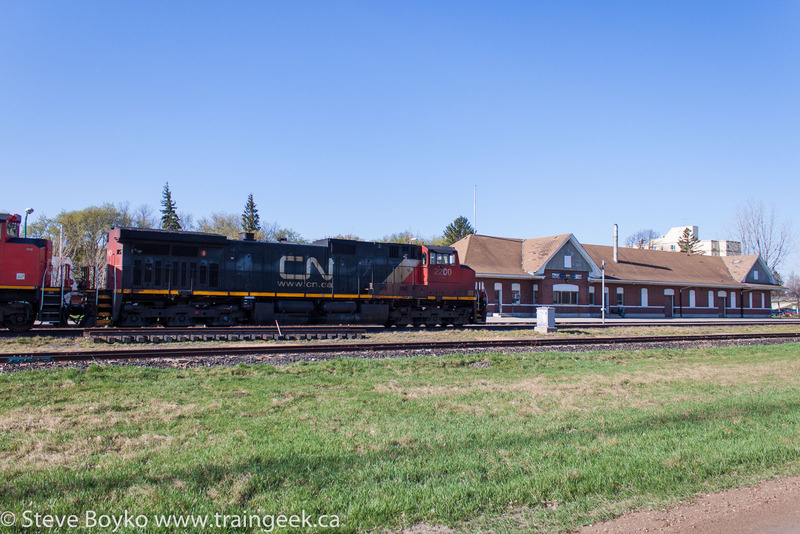 CN 2200 led 8838 and 8901 past the station. The station is looking good! A big shout out to everyone working to restore the station. 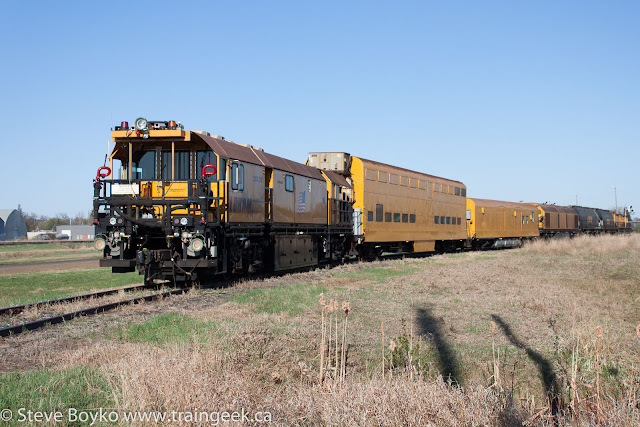 I like the ex Manitoba Hydro locomotive. 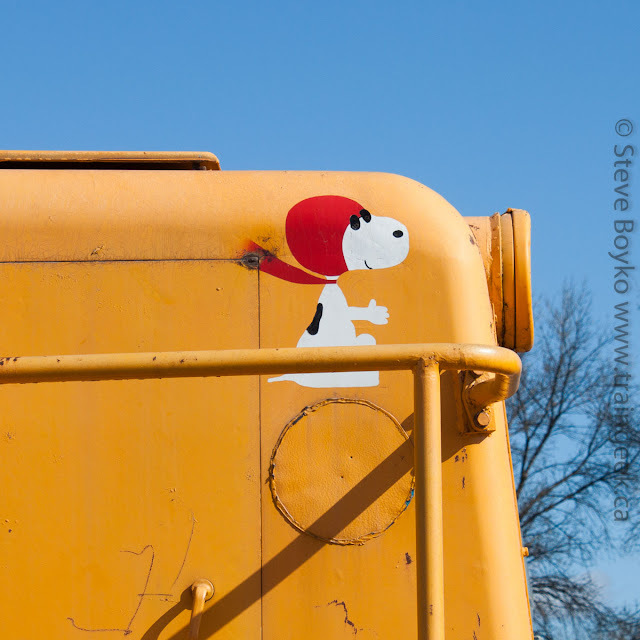 I'm guessing it was nicknamed "Snoopy". CP 3111 was the resident switcher in the CP yard. 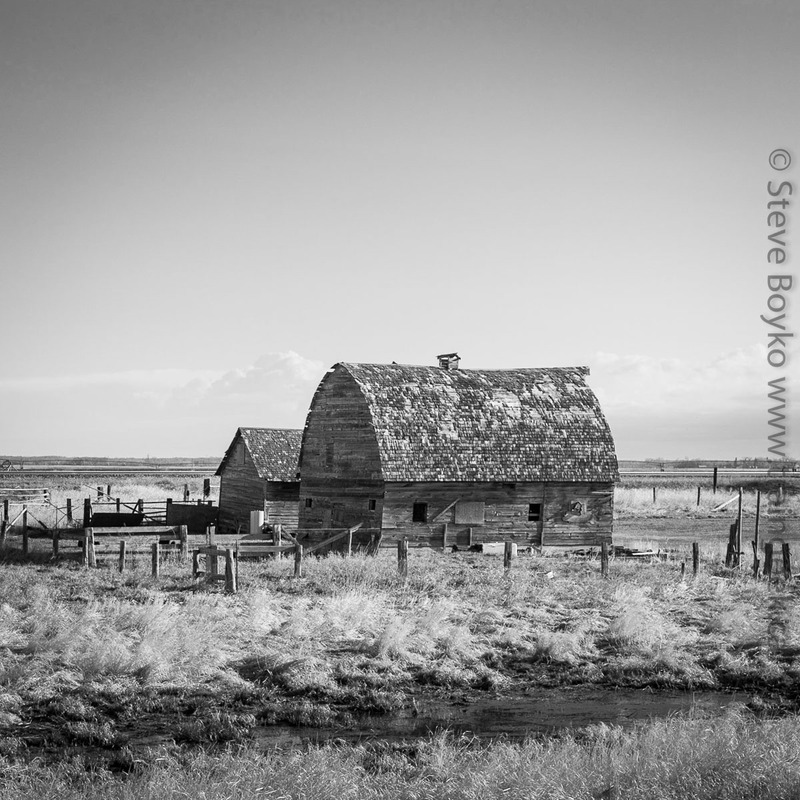 Another great post Steve! 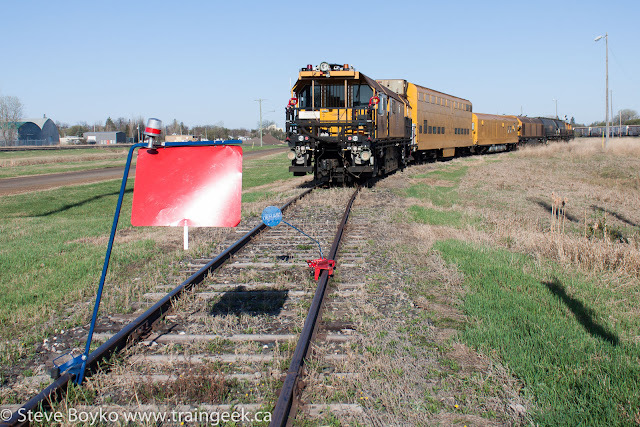 I enjoyed immensely railfanning between Winnipeg and Portage la Prairie, and to see the great action you and Tom had brought back the great memories! Thanks, Jason! I'm glad it brought back good memories. It was a fun tour we took. Great mix of shots Steve! I love the striped 40-2, it's nice to see it still has the snow shields on it. Karl, that was a first generation SD40 for CN. first delivered in the all black with CN logo.